Welcome to Pirate Monkey Painting! We are a Crew of Painters that has an incredible passion for seeing each other improve at miniature painting! 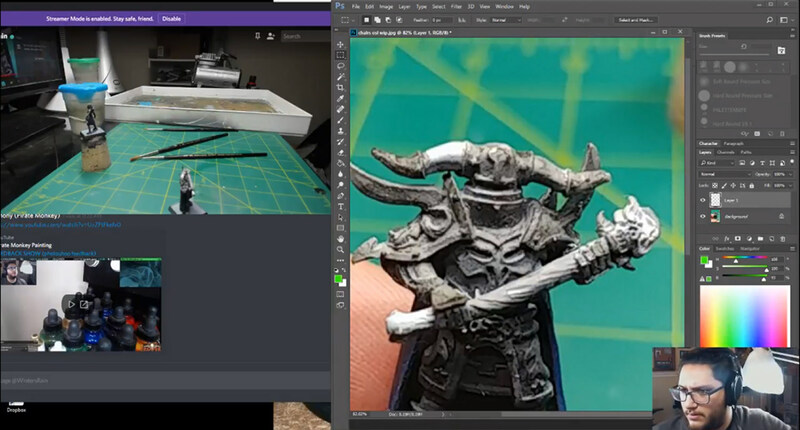 The goal here is to give you clear and concise instruction and most importantly practical tools for success on how to get better at miniature painting one gradual step at a time! 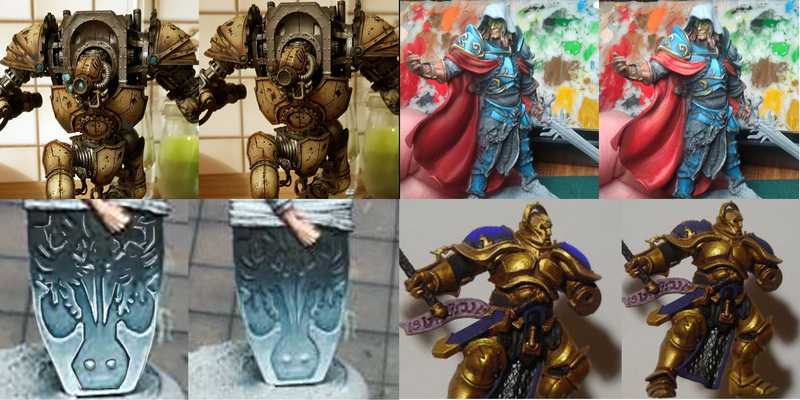 Whether that's help figuring out a color scheme, tips on how to get that figure to competition level or how to speed paint your grand army there is something here for you! We keep it simple here, with only 3 levels of support. 1st - Joining the best Pirate Crew on Earth! Not only do you get access to the over 35+ hours of video content and a also exclusive Patreon Discord were you and the other crewmembers can plan your next painting adventures together! All this for only $5.00 a month!! 2nd - Level is that of Pirate Sergeant! You get all the other perks listed above (of course) but on top of that, you can send me images in discord to do Photoshop feedback on top of giving you the next steps on your current Painting Adventure! his Patent Pending method Is as good as it gets (and it's not something you'll find anywhere else)!!! You get access to the private Sergeants room on Discord & One Tiny extra perk with this level of support is you help decide the next tutorials! All for only $15.00 a month. 3rd - Is The Pirate Luietenant! We saved the best for last. Besides gaining all the other perks up above once a month you and I will meet for an hour or more to work on whatever you want! Yes, you heard me! You also get access to a private channel on discord that gives you even more, access to me. So join the Pirate Crew and together we will conquer our painting dreams! Thanks for checking this out! Have a great day and we will meet you on your next painting adventure!! 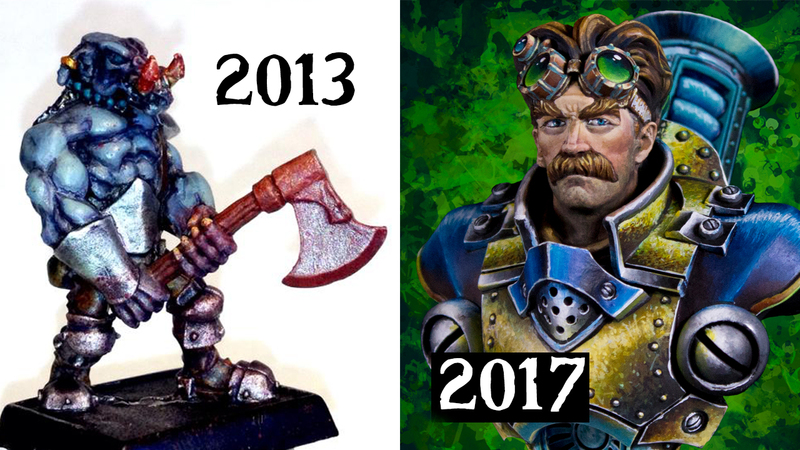 Thanks to all the supporters for making my dream of being a full-time Miniature Painter a reality! Patreon literally lets me pay my part of the mortgage. So you guys keep a roof over my head! If there are ever any issues or you have feedback on the channel I want to hear it!! We are currently trying to save for a new camera and computer components! We are currently filming on an iPhone 6s and while it gets the job done it still Is not enough. If you have old equipment that you would like to donate that would help improve the channel feel free to drop me a message!! Check out my Blog and Youtube channel for samples of my content! If you want to support Pirate Monkey Painting a little more Here's a wishlist put together that contains things that would help the Patreon and at the end of the day YOU! If you have some additional Time check out my sponsors they have some incredible stuff that we believe is worth your time. We don't take on a sponsor unless it is something that we believe in! Official Supporter status! Every Dollar Counts! - Endless appreciation for joining my team! Avast Mateys!!! You guys are the beating heart of the Crew! - Access to all of the video tutorials that are produced monthly. -Access to Pirate Crew Discord! Ye Bosuns are the Best of the Best!! - Personalized Photoshop feedback on your projects.This visual feedback will have a profound effect on your learning! - Personalized Goal for your Painting! The Best Worst Pirates on the 7 Seas!! - One on one hour long personalized training over video chat! THIS IS THE BIG ONE!! If we can get to $1200 A month it would allow me to Cover half of my monthly expenses! That means more of my focus would be devoted to creating new Tutorials for you. Thanks to everyone who supports! You guys make the dream a reality!